A week before the CIF-State Track & Field Championships, three of the best girls distance runners in the United States -- and California history, for that matter -- put on an epic 1600m performance at the CIF-Sac-Joaquin Section Masters Meet on Friday night at Elk Grove HS. 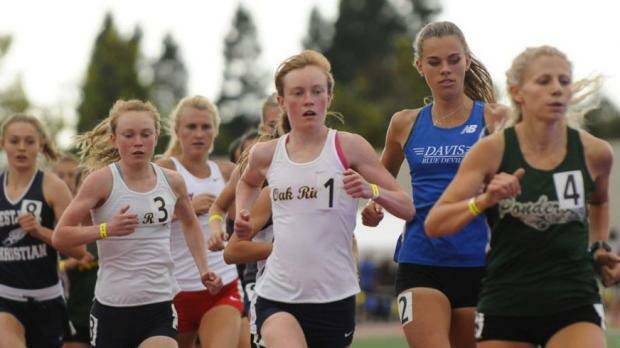 The Denner twins, Maddy and Elena (El Dorado Hills Oak Ridge HS), and Olivia O'Keeffe (Davis Senior HS), all of the CIF-Sac Joaquin Section, have been competing against each other throughout their high school careers, pushing each other to amazing performances more often than not. Friday was one of those lightening-in-a-bottle races. O'Keeffe, who was second to Maddy Denner in the State 1600m final last June, said she was shooting to break her sister Fiona's school record and also wanted to see where she was in advance of State. O'Keeffe sprinted away at the end to win in a US-leading 4:42.71! Maddy Denner was next in 4:44.01, a PR time that eclipsed her previous best of 4:44.89 that she ran to beat O'Keeffe for the 2017 State final. Those times rank 1-3-4 in CA and 1-3-5 in US, are Nos. 19-32-46 in CA history. That 1-2-3 finish was faster than last year's -- or most year's -- State final. "I didn't have a specific time goal going into the race, but I knew it would take something around what I ran to beat Maddy and Elena," O'Keeffe wrote in response to questions about the race, "so the goal was just to run a competitive race and I knew the time would follow. "I think winning this race is really good for helping build my confidence going into the state meet!" "I knew we were going to run fast given the nice weather and based on our section results," Maddy Denner wrote, "so I wasn't all that surprised we all got PRs." Wrote Elena Denner: "Going into Masters, I was expecting to run around 4:48, which was the time I ran at sections. I was shocked when I ran 4:45." 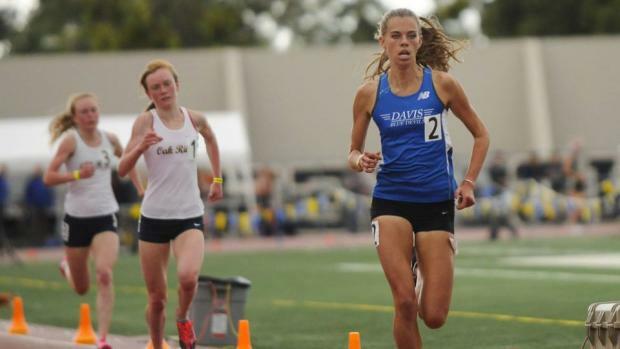 In April, MileSplitCA ranked the top 150 girls in the 1600m over the past decade. O'Keeffe's time from Friday now slots in at No. 9 on that list, Maddy Denner is now No. 13 and Elena is No. 17 (jumping just ahead of Fiona O'Keeffe, who is now No. 19!). While the top two times on the list occurred at the 2015 State Final, and Nos. 4 and 5 were recorded at the 2011 State Final, no single event over the past decade included three of the fastest 17 times like this one did. "I didn't know it was that fast of a race until the end because we all closed really fast," Elena Denner wrote. "But the first 800 was 2:25."